Over the holidays the de-romantics camp received the following speech given by a notable Ghedli Romantic, which has not been made public. For now, its author will remain a secret. Here is the contents of the speech. I am elated to be in this conference under the theme of “No Eritrean left behind “. And the slogan is not mere words as I can see several Eritreans who were almost left behind by their misguided ride on a train that was traveling beyond the legal speed limit. I can see someone just walked in, I can tell by the limp from the injury he sustained when he jumped from that aging train that erroneously thinks it is the state of the art technology and travels at an illegal speed for its age. If you have not guessed it, it is the YG & GY ltd. locomotive that is unoriginal in design, blind in vision. Do not be fooled by the fresh paint, the “bones” are a century old. Almost. The engineering behind it is plagiarized. 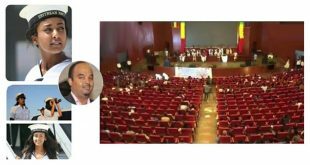 Ladies and gentlemen, during this conference that will unite all Eritreans, whether you are Ghedli romantic or de-romantic, former PFDJ supporter, current PFDJ supporter, former tegadalai or a “koboro” junkie , we all have the blazing love of our Eritrea and its people in our hearts. No one should be left behind because of his political pedigree. The overwhelming attendance tells me that my vision for our country is sound and uniting. Today I would like to announce my candidacy for the president of Eritrea. Yes the position is not open yet, but that is exactly the difference between a visionary and someone who waits for an opportunity to fall on his lap. In my adapted country of the USA when the members of a party agonize of selecting their nominee for the presidential race, the most crucial issue they grapple with, is the electability factor of the individual. Today I will make the case that I am very electable. You may also ask me a legitimate question: why would I suddenly reveal my intention after always adamantly averring that I would only be interested in a talent discovery role, if I ever held public office. But things changed for me and I changed my mind. First the lucrative business of talent discovery is not challenging to me now as I have made a bundle in my investment in the very novel technology of Nano tech when the neo-andnets ridiculed it. I am into new and contrary stuff and that is why, contrary to St. Paul who said that love is superior to hope and faith, I am heavily invested in another novel way of doing politics called “Hope”. To the chagrin of the old agrarian technology thinkers whose delusional thinking did not offer them the foresight to cash on my successful predictions, my controlling investment in “Hope” will handsomely pay off. Although you may know me from my critical writing over the years, I have been closely studying the Eritrean gender power struggle. 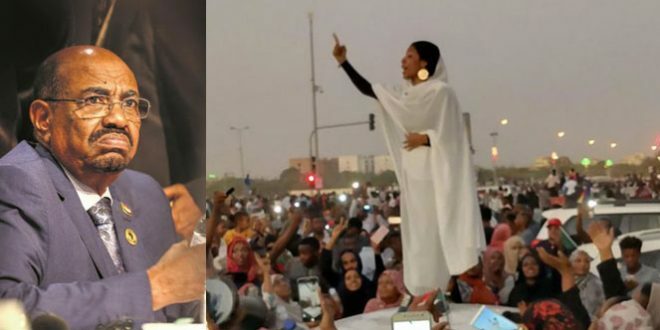 Eritrean women will have a decisive role on the outcome of an open election, not only because of their slight demographic advantage, but also due to their influence on the belligerent Eritrean man. The Eritrean male pretends to call the shots in every area of life, but I discovered that the Eritrean woman does the heavy lifting in the household and also makes the crucial decisions. After the initial “wellE ille” chants to assert his masculine, it turns out that the Eritrean woman calls the shots in the closed doors. So I will strategically target the Eritrean woman to clinch the presidency. Ladies and gentlemen, this is how I will commence the democratic coup on the national service: Keep it for national security and free labor, but make it voluntary to the point that my administration refuses recruits. 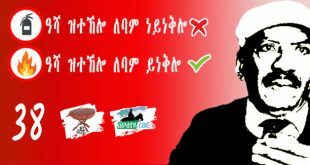 Then, my campaign in Asmara will be the easiest one. I will deliver. I will wear my watch on my right wrist and when the Asmarinos shake my hand, they will get the whiff of my Dolce Cabana, which I also wear on my right wrist. Once they Asmarinas had whiff of my cologne and establish my “Asmarinoness”, I will withdraw my hand immediately and tell them, “qotsera alleni” and leave. They will yell “awedeana, awedeana”. Then vote for me. I will make sure that the body does not wither away. Just like re-inventing the wheel in the constitution is silly idea, it is also silly to re-create new body for the new head in my government. I will keep the body and since the brain controls the rest of the body the democratic coup will be spread downwards. Like our current president I will maintain two-right hands. One right hand will “monkey” with the diaspora that will still be sizable and the second right hand will be my Charlie in the new media. I am in a generous mood today and I have a theme song for the neo-andenet after their old technology train crashes to pieces. But first I will tell you a backgrounds story of the song. This song by the heartbroken young lover is befitting when the day of reckoning finally arrives and the neo-andnets mourn. But be assured that since my goal is no Eritrean left behind, one of my campaign promises will be to provide toys to the under privileged Eritrean children, I have figured out a way to cheaply provide the toys. I will negotiate with our neighbors in the South to return all the malleable toys that they have made from Eritreans over the years and bequeath toys to our children. No Eritrean should be left behind. If you have not been touched by my reasons of electability I implore you to consider this: I am a cool dude, almost incapable of getting angry, a Vulcan of sorts, and I never lose my cool, although I admit that my cool lost me when my beloved “koboro” was described as a junkie. Although I am incapable of anger, I am capable of becoming misty eyed. Both my incapability and capability are the stuff that presidents who transcend ages are made of. Previous A Constitution or The Constitution? special présentation to Abinet, Horizon Amde and the rest of Dedebitins. happy 40th B day. This is very interesting interview. this gentleman is letting it out and exposing TPLF to the brim. it is funny how they went back and forth for the definition of Hinfish fish in Tigrgna. to mean Wuzigib, Shokucha, ….. listen to it very funny. So, you want honesty? Let me put this thing to rest fro you. because my father is from Himbrti and my mother is from Adi-Quntsi i.e. there and for that, makes me an Eritrean and stand for Eritrea. Where in Eritrea is Hayat belonging to? But stands for Tigray? Emma, let’s hope hardened stands would losen up a bit. For example, I have heard the issues of “re-settlements” around the Kunama areas that is one issue being contested. Again, the way self determination upto sessession seems to be argued as a means to guarantee full rights rather than to persue it to effect state breakdown. One of the organizations in Kunama (DMLEK) and one in Afar (RADSO) seem to advocate for such guarantees while committing to the sovergnity and territorial integrity of the State it self. I am not sure if there are other voices within each groups with different viewpoint (at least with a greater tendency to re-formulate their stand). Unfortunatly, we have the best time now than later to engage one another. Or we may never have the same chance again. I can’t agree more, and let us take it as our project. Hailat, there is noble mission than engaging to address the grievances of our social groups to bring an everlasting peace to our people. Join me to create a strong voice for a well meaning accommodation. Accommodation is the bedrock for the goal no one is left behind and no one is left unheard. I always appreciate your take but I do have one reservation for not endorsing you 100% and that is your open call for Ethiopia to intervene in the Eritrean matters. I could have much appreciated you if you criticise PFDJ policies that targets other neighbouring countries as enemies and never promotes peace and development with the international community. My take is, Eritrean problem should only be solved by Eritreans. And when I say this, unlike the EYSC’s which I differ in my approach, all strategic positions, including Ethiopia (in-fact is the best place) should be our spring board to weaken PFDJ regime. I understand your lines of approach very well and why you collide with the sal’s school of thought (school of chauvinists). This school is good in labeling dissents and you are not free from their labeling. 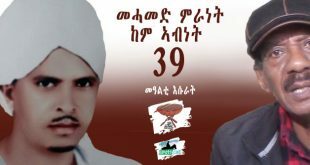 Ammanuel Hidrat and haile TG as well as Semere are not free too. The other school, YG’s school of thought, the school of opportunists, is not ashame to let down Eritrea and annex it again with a country that they call it, “Grand mama”. These opportunists are promoters of “Union”, better are called,”Neo-Andenatawyan”. 2. The school of Opportunits – the Unionists. The first school hates Ethiopia for/by all means. This school tries hard to keep the hatred based politics as it is.The hatred based politics is not only towards Ethiopia but to all intrenational communities, laws, and norms. and the school of opportunists, the YG school, hates our history and tries its best to delete it from the world medias by all possible means. They don’t want to hear the word “Eritrea” but “GRAND-MAMA Ethiopia”. You can learn a lot who are these school of thought memebers are from here easily; http://www.asmarino.com/articles/4203-tribute-to-omar-jabir-presented-at-a-memorial-organised-by-his-friends-and-colleagues-in-london-01-03-2014. Therefore, We have only one very fine line to take and two swords are pointing for this fine line. We have to be very careful on our discourse. In this regard, haile TG, SGJ, Gezae Hagos, Semere A, and Amanuel H. are doing great and much respect is given to these people despite the temptetation which is targeting at them from both swords. The sal’s school of thought is anti YG’s school of thought for sure and for obvious reasons but is very subjective. The fine line school of thought, which I will discuss later, but is lead by (SGJ and Amanuel Hidrat) also hates YG school of thought most. But, the hate toward YG’s school of thought is both subjective and objective. The thrid school, the fine line school of thought has no pride but wisdom. It is very rich in history, knowmedge, love, wisdom and tools to defend its school. I call this school, School of Hamid Idris Awate, which I have a dream for it to be called, “Awate University”. Therefore, Eritrea, at this time has three school of thought and we have to learn the wisdom from the fine line school of thought to bring “PEACE AND PROSPERITY” in Eritrea in particular and the Horn of Africa in general. Finally, no matter, how hard you try to be honest with Nitricc, his school will not let him to go out from the chauvinistic line and hence is will remain a chauvinist. 4) do you bevel Eritreans lack the very urgency and resource and organization to address this threat by themselves the way things are now and there has to be a long and intensive work of ground empowering first? This has to be done for sure for future self sufficiency and capacities but the crisis will go out of hand if we opt to wait until domestic capacities gather sufficiently. I’m aware that this point is where the many divergence among eritrean thinkers occur. the reason is because many eritreans beleive inviting neighbors largely means ethiopia. inviting ethiopia, they may think, is symbolically showing national weakness and un-independence. well, we should be able to show confidence to the world that we make the right decisions at the right time and seek outside help when we need it and opt to walk and work by our own when we can, if wewe want to be in control of ourselves, we have to be confident in deciding when to use outside help and decline. it is totally foolish and feudalistic to reject a stretched helping hand when you are hanging on a cliff. if that was to speed up and accelerate the efforts of building internal capacity, that would be marvelous. The issue of Ethiopian intervention is something only useful to knock some debaters numb and senseless from debating urgent matters than being a remote possibility. Outside intervention isn’t the same as Ethiopian intervention. Considering that Ethiopia and Eritrea have been at loggerheads for more than half a century, immense death and suffering inccurred by both sides and still in conflict, it would be unthinkable that Ethiopia would contemplate playing any direct role. This of course, doesn’t include Ethiopia’s own initiated military action, purely to serve its own stated goals (as happened in March 2012). One more complicating factors is also to do with the volatile psychological dimension that you don’t seem to factor. Considering that the main power center in Ethiopia is from an old commarades in arms of the EPLF, and the latter is also the power center in Eritrea. How could you imagine the TPLF coming in to teach house keeping to EPLF be taken? If for nothing, for its psychological dimension? 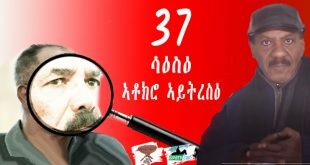 Do you follow the ELF/EPLF bottle neck to this day? How would the TPLF/EPLF compare to that? EPLF ended up in dire straites by combinations of bad leadership, diplomatic catastrophe and military defeat, coupled by social, economic and political upheveals. TPLF on the other hand managed to land its ship safely, the death of its leader and the transition after that was completed successfully and diplomatic and economic realities have played to its favor. This has a huge psychological implication depending one’s position in the field of winning and losing. Hence, even if Ethiopia was to propose to go to intervene in Eritrea proper (highly unlikely), the whole world will roar advising against it. Above all, Ethiopia is aware of the reality hence the cold war. On the other side however, external intervention (including that of Ethiopia) can’t be avoided if Eritreans fail to agree and raise against each other. In such case senario, external meddling is almost guaranteed and the calculation is mostly the interests of the meddlers themselves. In conclusion, outside intervention isn’t the same as Ethiopian intervention in our particular case. We need to be careful about following such arguments because it confuses our people more and completely lose direction due to the psychological stress the thought triggers on sections of our society. Recently, when the death of the 13 kids was reported, you brought the issue, and to great dismay and shame of humanity, many Eritreans refused to even acknowledge their falln children as they rammed against a hypothetical enemy that was nothing more than the figment of their imagination. Now what! Stopping this game as a deliberate diversionarist, possibly helping the unsuspected corner? Knowing that HaileTG’s words have never been posted without a purpose,your last line is pushing me off balance. entay emo kibil eie! 1) I agree outside intervention isn’t the same as Ethiopian intervention. But, I would count it as a more plus as something coming from the closest people that are considered more than a mere neighbor, contrary to what you are implying. 2) The psychological dimension you invoked was not the ultimate truth that deserves to prevail and continue for ever. It is not true, there is no eternal hsotility, whatever is there because of the massive propaganda needs to be undone. We should hold it by the horn without trying to put a good face on it. The bleeding was on both sides but in 1991, the Ethiopians were not as bitter for what they paid to keep Eritrea as part of them. In 1998 and on-wards, they are not as bitter even if we dragged them into a war. Nothing more should be sought to prove this fact than the way they are trying to help us in our youth exodus crisis. 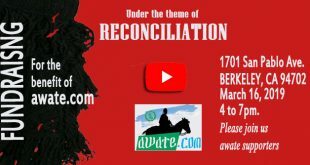 What is the reason Eritreans want to preserve the past wound as if it all was a one-way infliction? 3) Saying this as a way of exiting, and honoring your admirable energy and effort you are putting to galvanize political awareness, and appreciating your concern of unintended or intended divergence, I will stop this “game”, until at least I see an overwhelming interest from awatistas to discuss it. You see Hayat, Ethiopia has intervened and in a rather clearly successful way. In the current tragic migration crisis, Ethiopia has proven to be safe for Eritreans, its opening of doors to Eritrean business and other civil and political activity, its promotion of people to people where art and music is promoted, free movement, return of properties and legal protection to Eritreans are but few. In addition, Ethiopia facilitated many rescue operations of Sinai victims and even the wife of the Forto here wed Ali. In so doing, Ethiopia buried hgdef under its own barrage of hate and venom targeted at sowing the seeds of division. When hgdef told Eritreans that Ethiopia was poised to attack back in October, it blew right in its face with 7000 people crossing straight to Ethiopia! That tells you that Ethiopia indeed intervened, but the right way. It didn’t need to kill and pull the trigger to have intervened so successfully. When thousands of Eritreans are going to Ethiopia even from the West, that shows you how it buried hgdef’s politics of hate six feet under, without shooting a bullet! Had it gone the mess and military, the story would have justified the evil hgdef’s position. Now, there is no point confusing Eritreans, as Ethiopia knows better how to handle it and is handling it well in deed. Thanks hayat! If you don’t mind my interjection but I want to say something. First there is no love lost to see the PFDJ government and IA gone from who ever is able to make that happen. I don’t know that’s the majority of Eritreans but I think a lot. The question you are asking is, and your have made a compelling reason from the interest of the Eritrean people, why it’s good thing to do and ask and it justifies for Ethiopia to do on behave of us Eritreans. Before we think even there is a remote possibility, assuming Ethiopia is willing do it, one needs to ask WOULD they? And if they do, what’s the consequence they are willing to face and at what the price? And what’s the advantage for them? Well the Ethiopian government is not stupid, they do know their international obligation and their responsibilities. It has to present it’s case to the Ethiopia parliament first and it needs to get the go ahead and endorsement of the parliament to do it, and declare war on Eritrea. Assuming it gets the go ahead to do so. As a host of the African Union, Ethiopia has a great responsibility to adhere to the AU charter both in spirit and in practice. It has to bring it’s case to the AU and it needs to convince them that Eritrea has created “clear and present danger” and it needs to defend itself and it’s interests. What “clear and present danger” that it can bring today against Eritrea? Eritrea is a recognized member of the UN and it has equal rights like all other member states. This probably gives you a hint why Israel and the US continue to stop the recognition of Palestine as a member state. 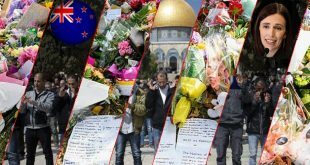 Because once they get that recognition, for every action they take on the Palestine, they need to bring their case to the UN security Council. That’s a side issue but I hope it help you see the importance of being a “recognized member of the UN”. Eritrea can call an emergency meeting of the SC like any other member state who is under attack. Ethiopia has no justification to go and invade Eritrea without bringing it’s case to the UN security council. It has also to present it’s case the it faces “clear and present danger” from Eritrea and it’s doing so, a clear way of self defense. What can Ethiopia really bring today that it hasn’t in the past 5 years, which gives her the “go ahead” to go and invade Eritrea. With this all assumption, we are even thinking the invasion will be walk in the park and they go in and out, get rid of Isayas and hand over to the Eritrean people to draft/modify the constitution and bring a legitimate government and everyone will be happy. So what are Ethiopia’s current and future computing powers going to do. What are countries like Egypt going to do? Are they going to seat ideally and let Ethiopia do it’s thing? Wouldn’t this be the best opportunity to drag down Ethiopia’s progress and bog it down in the war to continue and spend all it’s resources and lose it’s focus from the Nile while putting fire in Eritrea. What if Ethiopia unfortunately drops a bomb and it kills thousands of civilians, burn Eritreans major land mark, destroy the city of Asmara. Or how about the “running PFDJ” force decides to do all the damage in Eritrea and blames Ethiopia so that it can gain public support/outrage and rise the people behind. Who is going to go and verify who did what, and what’s the point at time. In order to give you an idea, how the Ethiopian government works, is to see what they have to go through when the invaded Somalia in 2006. To get a glimpse of that, please see the link below courtesy of wikileakes..
Now you have to ask your self and be in Ethiopia’s position, WHY? or example, if Eritrea invades Djibouti, Ethiopia would do it in a heart beat and it will have all the justification in the world. As to what happens to us Eritreans…well if we are not able to defend our selves and if we are not able to stand in our own, then I guess we deserve what we have then, and no body should feel sorry for us. They are hosting us, they are giving us refuge they are helping us, albeit we think is small, there is nothing more to ask. Those all are great technical and sensible questions and I would have loved to try them. As you you may be aware, my focus was on the what needs to happen and why; the “how” and the “what if” issues are usually messy and they require a lot of work of meticulous matrixization. We are holding back this discussion to allow other efforts that are more focused and surgical political mobilizations and surges. I agree with you on the 4 listed parameters and my answer is “YES” to all. But, I differ on your 4th point from its resolution point of view. No matter how much limited resources we have, Ethiopian intervention is absolutely a fatal mistake and your weakest point originates from this. I told you, I understand from which direction you are coming from when you welcome Ethiopian intervention. I have proposed two or more times on the resource issue. The opposition camp should take a loan from world bank, EU, UN, Arab league, what ever source can be, to finance their needs. and Ethiopia, Djibouti or other nearby countries can be a launching base for their mission. Just the same principle as that of SLM (South Sudan Liberation Movement), which was funded by USA and others but was stationed in Eritrea before. I do support when people go to Ethiopia and arrange meetings, establish their military base and disturb the military wing of PFDJ. But, what I don’t support is Ethiopia to interfer in our internal matters. We should be the sole players of our objectives. Any intervention by Ethiopia, especially, military force, will only ignite a fire that will end-up in fierce antagonism between the two people. Dear Hayat A., when ever you mention Ethiopia, remember our history. We can not forget our history. For many reasons, Sudan could have been the best place to launch our action oriented resistance but because of the artificial relationship between PFDJ and Omer Al-beshir, we can’t. No matter how worse the situation is getting into, Eritrean people will not support any kind of initiative from Ethiopia. Politically, it may look simple, but historically, culturally, economically and looking unot future well-being, Ethiopia should never, never step a single inch in the soils of Eritrea. If done so, we don’t have any option but to fight against any move. Saying this, I STRONGLY REJECT any kind of Ethiopian Intervention (especially, crossing the border and using force) and henceby I reject your urgency based proposal. It is your weakest point and no one will endorse you except the YG school of thought and they will do because of their open agenda, “Grand-Mama”. Else, I again appreciate your political dimension. I agree with you Ethiopia should never be involved in military action against Eritrea. Can you give me an example of opposition party which secured this kind of loan anywhere in the world? How long does the loan process take? Months? Years ? What is your plan B if you fail to secure the loan? Indeed you will agree with me. The fact is, my message is not to Ethiopians but to those Eritreans who believe that Ethiopian intervention is the only possible means to remove the dictatorial system. Concenring the funding/loan source, there are a nulber of possible means. Have you ever asked how “Medrekites” are funding their expenses. On reality, the members are just couples of PFDJ outcasted x-members. And when they launched the Medrek group, they soon came-up with huge financial sources (I don’t know their internal working mechanism but that is at least what they look to an ordinary observer). Imagination being my driving motto and having in mind the working principles of many opposition groups throughout the world, the possibility of getting fund/loan is very high. Just, we need to organize and write a sound guiding principle with dedicated huamn resources. More than this, I think it will be exposing the secret. Let’s keep it as such. But some brief ideas on what I mean, here is my share with you. but keep it secret until the idea comes foreplay. If you ask me, who funded the 30 years independence war with Ethiopia, well, for a naïve person, it is “Self-Reliance”. Aha!!! “…. for a naïve person, it is “self-Reliance”. Aha” You better be careful here. Are you calling some of your esteemed opinion makers, naïve? Some of them at this site….well let us skip that. If you have the guts and courage, you will tell us in specific terms as to who. If you really know, I am talking about names and addresses. It is not enough to say Syria, Iraq, Libya and Saudi Arabia. If you can’t name names, I will consider your statement as a rehash of an old Haile Selassie propaganda. Get relief. The PFDJites, not the PFDJ here (I mean the naïve supporters) and the chaunists of course. PFDJ as an organization is not “Self-relaint”. I have a number of reasoning to support my argument. for the chauvinists, they are all in fact naïve. Hope it is resolved now. Tes, Let me tell you as is what my observation are about you and I will leave you alone. In most cases you display erratic and unpredictable behaviour. At one point you admire and agree with forum participants and the next day you rip them apart and you call them names. Strong evidence for bipolar disorder! Mechanism of action; see a shrink as soon as possible. When you write for a post wait 8 hours make sure you do the mood check. When you go above and beyond to impress other people and have the desire of other people to know how educated and smart you are by using big words and heavy vocabularies; sometimes they don’t even fit to what ever you are trying to express. When you have this burning desire for people to acknowledge how sophisticated and critical thinker you are; then there a term for it! It means you are suffering from educating your self beyond your intelligence. Stop going to school. Let someone use the resources. You have exceeded your limitation. Any thing more, it will lead you to self distraction and inferior complexity. When some one writes chauvinists 1000 times; it is a sure sign. The take home for you is you are NOT critical thinker, you are not that smart, you are average at best. I know you are relatively young but if I got to be like you when I reach your age; please somebody shoot me and please don’t miss. The USA gives 10 apache attack helicopters to Egypt. And the USE, the united sates of Ethiopia gives multi MI-35 helicopters, Migs and other expensive weapons with their skilled pilots to Eritrea, Kenya and rumor has it even the rebels got their share. The point is Egyption Air force is arming with high tech weapons while TPLF lead Ethiopian Air force is rapidly dismantling. You know there is going to be a war between the two toothless countries. You seem to follow Ethiopian politics quite closely, whats happening there? Give us some detailed analysis, as you seem to follow it closely. And where are the Ethio-awatistas, gone cold when they are needed most, no Mekete to rebuff Nitricc’s sensational news. Please don’t assume I am a bad wisher, we have enough problem in East Africa, turmoil is the last thing one wishes in that part of the world. Did DIA tell the last 4, to change direction as the job of polishing for return the one he has was getting too much :). Anyway thank God they decided Kenya…….at least the it serves their cause, without creating unnecessary complication on the cold war we have. We are learning to ignore comments from Nitricc . No one is taking him seriously. Happy Ethiopian Christmas . I know you miss mama Ethiopia . Get used to it. 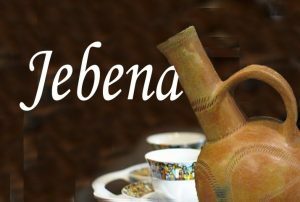 Wediere; I do follow Ethiopia out of love : – ) Today is holyday and the Ethiopians drop everything to celebrate. They know how to party. Aside very concerning military unrest; there are some anxiety and nervousness about the oncoming election. The TPLF are the best at playing the game. They used to allow any party to run for election, because they know that party is going no where. This time around, TPLF blocked UDJ and AEUP from participating in the election. This blocking shows me that TPLF have no longer total control in the country as they did for the last 20 years. So, if you are TPLF, things are changing. The military in disarray; the fake election is coming up and unlike in the past, this time around the result is uncertain. You have very dangerous popular uprising in Gonder. There are many telling but the blocking those toothless parties’ reveals the serious weakness of the TPLF. All TPLF has to do was close the case with Eritrea and concentrate and converge on how to prolong their power. But a Dedebit is always a Dedebit. It is a big mistake to think that a war between Egypt and Ethiopia will be just a war between Egypt and Ethiopia. Unless Eritrea or Sudan facilitates the condition for Egypt to be able to attack Ethiopia, Egypt does not have the capacity for a distant war. If Egypt comes, she will come after Ethiopia and not after TPLF. This will start a regional war, and it will take to hell the whole region. Your other mistake is to think that Eritrea will be the “Bermuda Triangle” for the Ethiopian air force. At one point, Ethiopia will be forced to stop it, one way or the other. Therefore, funning such dangerous development, which is anti-peace and against future good neighborliness, is playing with fire. Do not echo ESAT, because sometimes they cannot tell the difference between true story and the product of their wild imaginations. A water war is possible among many nations. If Egypt had the moral or legal grounds and the muscles to wage war against Ethiopia, she would have already done so. Ethiopia never said that the Nile is not important to Egypt. On the contrary, it is Egypt that has been saying that Ethiopia has no rights over the Nile, by taking herself 80% of the waters and giving the remaining 20% to Sudan, while leaving not even a drop for Ethiopia (1959 agreement between Egypt and Sudan). She could do it in the past by using proxies and by lobbying in western capitals; but not today. I agree with your analysis and your reason. All Egypt had to do is read its history again and will not repeat the same mistake. It tried to invade Ethiopia twice when it controlled Eritrean sea and much of north Sudan and defeated. 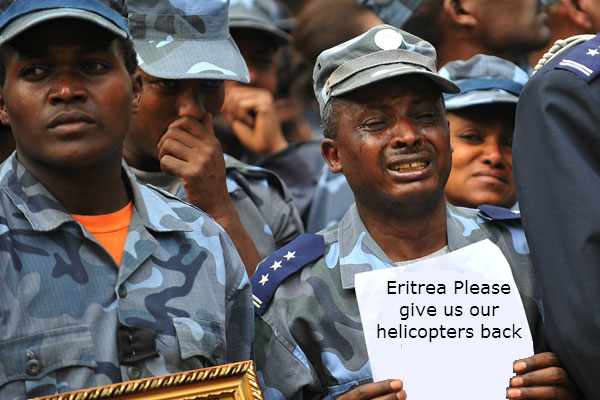 Well first of all, there is nothing Ethiopia can do if the entire air force fleet to defect to Eritrea. Ethiopia must find a way to keep her skilled pilots and expensive weaponry. TPLF has to change and restructure their standing. Appointing a bunch of fifth graders as the heads of your armed forces won’t help and stop the bleeding. So, all Eritrea has to do is wait for the Ethiopian crafts to arrive and have handy a paint and a good painter. Right on the arrival, paint Eritrean flag just over the Ethiopian. They are at war footing and Eritrea has no obligation what so ever to return anything, which is that. Regarding the possible Ethio-Egypt war is not a matter of if but a matter of when. I have said it before and let me say it now, Ethiopia have every right to do what ever with her natural resources. If I was to represent Ethiopia, I will let Egypt to cover every penny of what Ethiopia spends on ports fees and that is the only way I will settle. otherways, not war but let hell will freeze over. however, If war to start, Eritrea better stay out of it. We had enough, unless we are attacked and provoked; enough is enough. Funny! You seem to have found an economic way of arming your airforce. All you need to do is, have a good painter ready. No need to worry about arms embargo too. What if I say, Egypt and Ethiopia will never go to war. Horizen; you are already wrong by using the word “never”. like i have told you, if i am representing Ethiopia; the only way i won’t tauch Abay is if the Egyptians paid every single panny for what Ethiopia is paying in port fee. if i am representing Egypt; i will wait till the Abay Dam conclusions and i will send 6 F-16 and i will turn the dam in to a soccer field. I can not let Ethiopia to chock my people to death. Horizen can you translate for me. what do i tell you? river that has its source in the highlands of Ethiopia, and flows for hundreds of km within Ethiopia before it enters Sudan and then Egypt, are empty words that mean nothing. Ninety five million Ethiopians have also taken a solemn oath to protect their God-given rights over the Nile (in contrast to the human-made historic rights Egyptians try to tell us). warfare against Ethiopia. During the famines of the seventies and eighties, Ethiopia lost about a million people, while at the same time our rivers were feeding the Sudanese and Egyptian people. This time Ethiopians will not sit and die, when their rights are being trodden by Egyptians. They would rather die fighting for their God-given rights. handles. Finally, please, do not come back with a wish for some sort of a natural disaster for the Ethiopia you love so much. By the way, if you cannot beat them, why don’t you join them? I wrote you extensive response and the freaking idiot of me, i did something and gone. let me try one more time. you know what we have made a progress, from NEVER to SO WHAT? if you ask me, it is a progress. anyway; that is exactly my point. you, the Ethiopians are a push over. Egypt got the balls to push you around on your own resources, on your belonging and for what is yours. Trust me, i am with on this one because i believe in what is right. and what is right is, stand up to Egypt. if it means war, stand up and die for what you believe. don’t you learn anything from the brave Eritreans? look, what is Badime to Eritrea? nothing but we are fighting to the end for this worthless land; why? because it is ours! and we have principles. it was easy for us to cave in and go about our lives but sometimes you have to stand up, you Ethiopians know nothing about it. for a change, leave Eritrea alone and you have a bigger fish to fry, get your pride, Abay and protect it. the Egyptians just told you they have to protect the constitution of take what is not yours.. the point is the Horizons, Abinets and the dedebits ( the Hayats) what they are going to do? we could have fought for you but it is a thankless job. by the way Ask the Egyptians how many their fishing bout were distroied by the brave Eritreans? that how you get respect. lesson 101 for you my friend. I got a joke for you which goes along your comment. Zabia = Temama enchet = handle for axe . Either way,Eritrea has nothing to do with the Ethio-Egyptian War as long as Ethiopia respects the National Security and Teritorial Integriy of Eritrea,which Ethiopia has never done so far. If you believe in Peace,then make Peace before it is too late. And you know well as to who is for peace and who is war-mongering as we speak. Keep dreaming . I see you are salivating . I hope the Egyptians tie you on the missile before they launch it to ethiopia . It will be cheaper and faster for you to reach ethiopia. No visa required . For some reason this comment cracked me up. It reminded me of Wily Coyote when he would rope himself to a rocket and blast off. I imagine Hope doing the same. Hope, I hope you can take a joke. Enjoy the picture. I added some text. Hope was in such a hurry he forgot his luggage . I hope he lands in one piece. Anyway i wanted to ask you why do you keep updating this forum with (your perception of) Ethiopian failures and shortcomings ? I mean as an Eritrean you should focus on Eritrean Issues and (God forbid !) Eritrean failures and shortcomings (and how to solve them obviously..). Maybe you might think posting Ethiopian failures would ease the Eritrean crumbling we are witnessing ?? I wonder what are your motives for obsessively reporting about ethiopia…. Haile MW, my responsibility in life is to deal with Ethiopia. Ethiopia is the greatest danger to the survival of Eritrea. some body got to deal with Ethiopia and I will. that is my motivation and keeps me going. they are not going to leave Eritrea alone. Besides, I like it when Abinet cries for the return of the helicopters. The Ethiopians have understood and came to terms, that peace is the bases of developments, and hence they will not resort in to war unless they are provoked. They are totally engaged in their economic development. Let us bring our internal peace rather than to focus to none existent external threat from Ethiopia. Nitrakay, as a young generation Eritrean, Your prime motive at this juncture should be to free your generation from “wefri barnet” what Ambassador Adhanom use to call it. Please adjust your mind with change of circumstances. It seems everybody is crying . I cry for the chopper, you cry because ETHIOPIA is ROARING . Your fix it from inside has passed it shelf life, it expired over a decade ago. 1. To fix problems from inside, amending criticizing, the first requirement is that the party that is to be fixed must be normal that it allows and tolerates and genuinely wants to fix itself from the contributions of the people. The G-15 tried it and we know what happened. 2. Also PFDJ and supporters do not have the authority to preach about fixing it by becoming part of it because they splintered from ELF because they say they were unable to fix it from inside. 3. About insulting Eritrea, what does it mean? Does insulting Eritrea and insulting PFDJ synonymous to you? 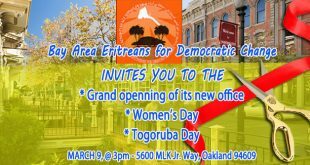 PFDJ/EPLF or for that matter any political group is smaller, way smaller than Eritrea and that confusion, your willful or unwillful ignorance is the problem, if that distinction is made clear people would not get into trouble for criticizing PFDJ and disappeared and hence your point of fixing PFDJ from inside would have made sense. I agree with you that we need as Eritreans to protect Eritrea, nurture it, but first we must identify what is Eritrea. We have enemies and if one is not disingenuous he/she will arrive at the conclusion that Eritrea has one dangerous enemy and we must all rally to destroy this enemy and the enemy is PFDJ. I can’t put it better than yours. Hence I concur your response. Surely, Gud knows that he is a self-incarcerated individual who lost his freedom. He might enjoy all his freedom in the west but can’t advocate the things he enjoys for the Eritrean people inside. So I can only say well said. 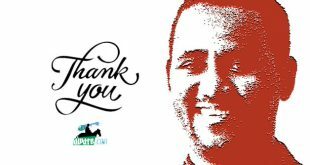 That is a heck of “xmaQ Aameta zienawi Hateta.” Abu Dunya alasmarawi must be proud of you. He’s not only credited with mentoring nitrikay, but true to his principle of ” no awatista left behind”, he has for years been locked in a life and death struggle in order to save the soul of Abu Noah from the rumbling relic train of neo-andnetawayan, believed soon to run out of steam. A nice treat. Thanks. “unaccomplished and unseasoned writers like me” ሚ እንቅርእ/እንሰምዕ ሀሌና ዎ መለሀይ? Well, I give you A when it comes to satire, you see that’s the Tigrayet part of yours.You are an accomplished writer, particularly when the investigative hat of “tenasaH” is off. This is your area of strength. Get us some more, please. it is a matter of time; started in Gojam now in Gonder who is next. TPLF got greedy, now they better return the land. by the way what do SJ has to do with this? listen what is going on and learn. No Eritrean left behind was one of the themes that was my driving force for this long time. 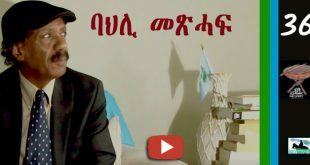 I don’t think Semere is promoting to the culture of PFDJ. He is making fun on the individual who is in his mind but still have reminiscence of that culture. Sem is solid on his stand and on the Eritrea of his dream – bright, inclusive, and equitable Eritrea. I will not give up on Sem. Yes Emma, and I am not missing it at all. He is satirizing so powerfully and I cannot NOt like it. But Semere is also known to be a foot soldier of YG. How do you reconcile those two things and conclude Semere is for the betterment of Eritrea? You can not be a soldier that toothless and at the same time to declare you are for what the best of Eritrea. NO! Beyond epic. I have to use Greek words to describe it. Herculean? It’s all academic now. Elementary my dear. The candidate did give you until 12/31/2014 to figure things out; you didn’t, so the SelaHta Werar commenced on 1/1/2015. From that date on, everything you can’t understand or explain, the candidate will take full credit and responsibility. (a) Permanent Population: in massive exodus, thank you Isaias Afwerki. (c) Government: not in existence, than you Isaias Afwerki. A government also has a ratified constitution, which is under attack, than you Isaias Afwerki and those who hate the constitution because they weren’t invited to the menu wasn’t kosher and it didn’t have every single thing on their wish list. (d) capacity to enter into relations with other states. 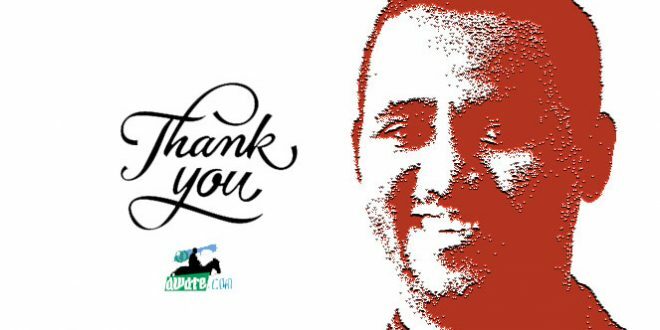 Thank you, Isaias Afwerki, for getting Eritea sanctioned. iSem, it should not escape the mind of a satirist that some of the awatistas who pooh-pooh the constitution would like a future where we have a country with no constitution, so they can start from scratch. It is their version of a time machine to go back to 1991. The biggest problem is that the “neo-Andnets” and deromantics wield substantial power. For starters they are in charge of the country and calling the shots by killing the last vestige of Ghedli by annulling its document. The army being passed over to x elements and and new ID coming in two variety (one for those who left legally and the other for those who defended the country, tired, hungry and left illegally) along our wives weight in Kg to be recorded meticulously, I think the neo have fully taken over:-) ሰላሕታ ወራር ክብሉኻ ከምዚ’ደሎ በጃኻ! Man, you are spending too much time in smerr room with the likes of Hayat Adem. I miss the old tough, caring activist Haile. You have sank too deep into the swamp of politics. sheikh SAAY? I thought he was just an arabist (pan-arabist) not a religious leader :). Here is a solution that may help your peace of mind: how about ELIMINATION of people different from you from the face of the country. Don’t “talk about it” is deriven from the reasoning that “Diversity” is a problem that must be “solved”. Feel at home with your identity, believe you’re equal to others with equally weighted concern and don’t pretend to be the de-facto “peace keeper”. That is paternalistic and superiority complex. Look how that HGDEF barbarian flying around here sniffing dirt is talking. She is saying Afar, Kunama and other organizations are creations of woyane. I believe they are creations of their condition. After you externalize and dehumanize them, it won’t be hard to violate their rights and perpetuate their problem. Be your size, you have NO right to paint our diversity with hgdef inspired cheap paints. Smer are Eritreans, they may not get the ID you will get soon, but they will have the real ERITREAN ID written in blood. Please don’t try to re-create us in your narrow mind set sir. BTW: saay made the sheik joke himself. Embrace your diversity, narrow regionalist or religious mentality won’t take you far. I’m embracing my religious identity now, klte shewAte azizelka alekhu, mHret yewrd z’Hawey. hahahahah I Know you are talented debater and a good writer but i have no idea you are a comedian too. lol okay, i will add that to your resume. Haile, never ask me a question that you heart knows the answer. wait, remember, they call you Haile the great? wait, the greats are also, great diplomats? got it, you are so good. you got me, again; hahahah. Haile. now, i would like to resever for you comedy show, when and where would like it be. i am your PR manager. hahahahah. You have said: “Diversity seems an inhospitable terrain for you” which means to tafla. As a matter of fact It is not only to tafla, it is to most our brothers who debate here. To them to debate on diversity is “sectarianism and sub-nationalism” sentiment. To debate on marginalization/equitable share is a sin. To debate for fair sharing is something to take their belongings. To debate on the rights of minorities is an alien ethnic-politics. How wrong they could be. “Inhospitable terrain” is a nice term to express to their political flaws. Aman H, you are killing me. you are becoming a moving target. You didn’t answer to my qeustion about Semere and here; you doing again. hahahahah i let you read this. Aside politics, there is one thing I couldn’t take from you. You are an open person to learn and that in itself is a good virtue. But there is also one thing we couldn’t convince you to correct yourself, and that is to be humble, respectful, and stop insulting your brothers and your sisters, though your interaction with me is so far civil. Back to your question: I haven’t failed to answer your questions so far. What is your question about Semere – my buddy who has a clear mind with no ambivalence in his thoughts. Anyway, your quotation always makes me wonder how your boss has a reverse mindset alien to normal thinking – to illuminate the rural areas and let down our towns and cities in a dark. I think you are giving more homework to Saay and Mahmuday not to be influenced by his “Sigin-tir Aamro” of the despot. Aman; it is regretful that you mixed a challenge with an insult. true, it was a time when i read something i don’t agree, I used to resort to name calling but now, instead of name calling; i challenge the idea and the thoughts of that specific person and learn from that. I challenged all the greats who participate on this forum. i challenge Mahmuday, SAAY,SJ,Haile, Semere, Aman H and the rest of the Ethiopians. one thing I would like to contribute to this forum is, no idea goes unchallenged. now, i am not insulting you when i ask you to answer to your own replay. But Semere is also known to be a foot soldier of YG. How do you reconcile those two things and conclude Semere is for the betterment of Eritrea? You can not be a soldier that toothless and at the same time to declare you are for what the best of Eritrea. now, again, would you please answer my inquiry? if you know and understand what YG stands for, how exactly are you going to tell me Semere stands for what is good for Eritrea? again, i am trying to learn and prepare what is to come. I may challenge every one of you but i will never insult or disrespect you. but it is up to you to take the challenge to insult and disrespect. now, Aman, answer my question, i will appreciate greatly. I have already stated “that your interaction with me so far is civil.” I was hinting you with others. Now to your question: I don’t know why you are lumping Semere with YG. Semere is solid on our ghedli and respect the sacrifice paid for our independence while YG was arguing against ghedli and its outcome. Semere is not from the school of thought of YG. Yes he is angry for a nation that gave thousands of our “best and hopes” to be high jacked by a “group interest” and their party and and let it down in the current unfathomable predicament. So Nitrikay it is your perception that is wrong – he is a hopeful youth like you. There is no contrarian view with Semere. I will summon to you to correct your perception on Semere. If a society is multicultural as a matter of fact, how can it make a success of its very existence by refusing to acknowledge it? The fact that our people, to a large extent, regard openness in this area unwelcome is because they have come to “learn” (wrongly) diversity is a threat that needs to be controlled. Diversity isn’t a threat, in fact it is both a condition and a result of freedom. even a text in the 97 constitution talks about a “Unity in Diversity”. Instead of that we ought to focus in “Freedom in Diversity”. Because what is lacking is the freedom to express diversity and not “unity” which is already there by default (the very concept of a nation state within multicultural diversity assumes a form of “unity in diversity”). Our minorities can’t freely express themselves because they are openly accused of “high treason” and alleged to be “conducting a war by agency” against the state. None of the accusers speak their languages, none taken the time to humble themselves and listen to their grievances, ordeals as well as collective wishes and dreams. It is an unrestrained language of threat and force that is communicated to them. And that is nothing more than a self imposed siege mentality of those desperately holding to narrow minded sense of Eritrea and Eritreanism. Didn’t the despot embossed Philipos with a “four star General” to replace General Sebhat at the Defence ministry? I don’t know about the ministry of info but I am sure he delegate some one. Dear Say, thank you. I thought of putting my stand and see how you react. please don’t ignore it. by the way yes, if I was not there or if whom I represent is not there why I have to accept any document as if it belongs to me. And here we are today, where is 1997 constitution. as we have agreed that is just a document. if some one feels alright , he can read also other countries (like Kenya’s) constitution and worship it but should not force us to accept his symbol. 1.I don’t have to worry what Ethiopians will say, I should worry that my country have fake and dead constitution. 2.I don’t have to worry if PFDJ is sanctioned by others, I should worry my people are sanctioned by PFDJ. 03.the present of ANDENETAWYAN is not new thing in our history, and in fact that is also a stand challenged long back. But the present of PFDJ is unexpected for most and the present PFDJ may give more strength to ANDENETAWYAN. 04. The present of ministry including what you mention is always vacuum. Ministry of information wasn’t Ali Abdu -he may have done what he can but failed and left. PIA is all in all. so I don’t have to think and worry if there is defense minister or not. saying all the above I believe Eritrea will not go for bloody ware like others, small armed force witll throw the dead gang. Let’s go and join SERAWIT HIDRI. What do you say? Lol I know you are the most intelligent man here and you bring things just for debate more than the once you believe deep in your mind. Who are these andinetawyan? Where are they? Are they significant in number and influence ? Please tell me more. I am afraid I can’t. if I do I will serve them as announcer so better not. My friend you are you are strong with out knowing them, what will happen to me if you know them, Lol. If I am strong without knowing them, I will be stronger if I know them. Thank you for stating your status. Medrekites are PFDJites-2 and we oppose them for their totalitarian system no matter how transparent they look in their political discourse. They are chauvinists and we do oppose such conceptions as they will be nothing but future dictators. Ambassador Andebrhan’s interview are more than enough to guage them who they are including Dr. Asefaw’s recent public meeting in Sweden. Thank you again for easing our approach to you. We have no choice but to fight the ruminants of PFDJ ideologues. SAAY, are the Cincinnati Bangles and Marvin Lewis, members of the Eritrean opposition? They never win when it matters most, playoffs. I picked them to win I figured, since they never won against anybody in playoffs, this time around I thought they beat the Colts. Wow. Okay SAAY, you got me. And let me give one bold prediction to make it up. I am picking the Ravens to win over the Patriots! his name might start with “Mah..” and finish with “..mud” 🙂 and he for sure has my vote ! Keep up your satire my friend. I am always having fun with your satire. It gives us s smile after a bloody debate which sometimes becomes out of control. Where is Saay – Sem deserves one nice nickname. You don’t have any idea to share with, even if we are at the opposite end of the spectrum. Nothing except mocking and jeering. Wow what kind of culture you grew up. if the organization you grew up has this culture but nothing else, it is a big burden for the young generation to deculturize this alien culture – the PFDJ culture. I hope you are from the old generation soon to pass. I will let you know my pen very well. I will get rid of your pfdj school including the chauvinist’s school of thought. This is my objective for 2015! And here is Sem A perfectly heading the strategy of dumping your school. Tes, you are extremely unstable and unpredictable; are you bipolar? Seriously! Dude, take a stand and run with it. learn from your friend Hayat, stick with it.